I slaved over my New Writer’s Scheme manuscript, determined to make it as professional as possible. Rosie and Tanner is now with one of the RNA readers. Tick! I went to the RNA conference at Telford and enjoyed blissful times chatting with other writers and attending fantastic workshops. A whole host of superlatives are not enough to describe the conference. Tick! 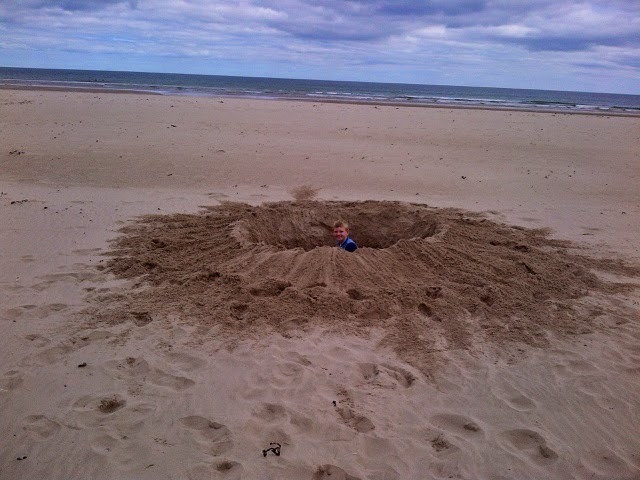 We had a fantastic holiday in Northumberland. The holiday barn was amazing, especially as I’d only booked it the week before! I then discovered that we were the first family to stay in it. 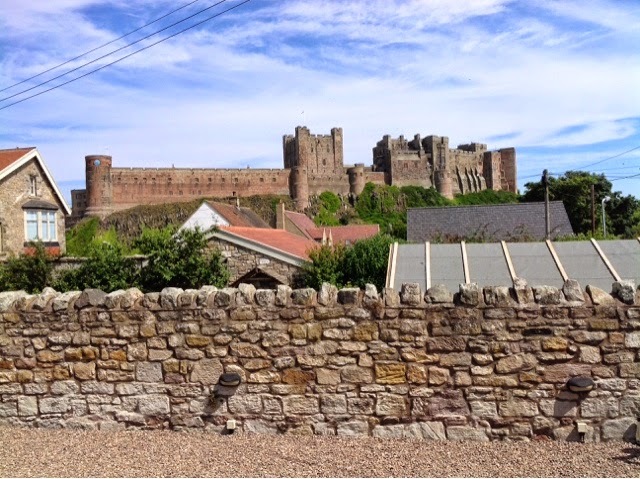 A view of the castle out of the window – come on, every girl needs a castle outside of the window. We walked the beach at Bamburgh at least twice a day. I’ve even got a tan and I very rarely get one of those – in Northumberland! I really enjoyed being able to shop locally in the little shops too. The only slight downer was that my son and his girlfriend got stung by jellyfish. We counted 51 on the shoreline that evening, some bigger than dinner plates! Hubbie got a much needed rest, although with his pedometer he became obsessed with how many steps we walked. Tick! Spending time with little son – he goes to big school in September and something tells me this might be the last summer he’ll be happy for me to determine the summer timetable. He’s growing so fast. Size 7 football boots at eleven! He grew a centimetre whilst we were on holiday. His dad is 5’2″, so he is going to be a tall lad. I am loving our outings. Tick! All of this means I haven’t found much time to blog, but I haven’t sacrificed my writing time and the new manuscript is coming along nicely.